Kimi Räikkönen led a Scuderia Ferrari dominated second Free Practice session at the Bahrain International Circuit, with team-mate Sebastian Vettel a whisker behind the Finn in second. Vettel ended the evening 0.011 seconds shy of Räikkönen’s 1 minute 29.817 seconds, with the Mercedes AMG Petronas Motorsport pairing of Valtteri Bottas and Lewis Hamilton five and six-tenths of a second behind the peak session time. In the early set of runs, Vettel came out on top on the soft tyres, ahead of Bottas, Räikkönen, Aston Martin Red Bull Racing‘s Daniel Ricciardo and Hamilton. The super-softs seemed to be the inferior tyre to be on as the night grew darker; despite this, Räikkonen emerged on the red walled tyres first before swiftly setting the fastest time seen in the session, with times falling by over a second from the dusty morning session. Vettel was his main rival, smashing Bottas’s best efforts by half-a-second to relegate the Mercedes to third. That was how it stayed with attentions turning to long distance race simulations. Räikkönen’s session came to a premature end after he was released from the pit lane with a loose right front wheel. Ferrari will be subject to an investigation in the coming moments, with no more than a fine expected. 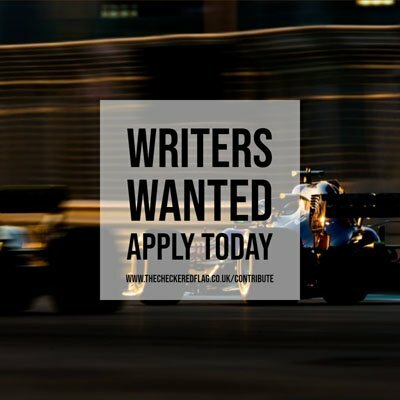 Bottas also found himself at the centre of a storm, wandering lazily over the the edge of the track at the exit of Turn 4, unwittingly blocking an angry Ricciardo who kept his message short and unsavoury. Max Verstappen recovered from his morning gremlins to better Ricciardo’s best lap, however Red Bull find themselves finishing Friday nearly a second away from Ferrari – a stark contrast to the morning. Nico Hülkenberg struggled with the balance of his Renault Sport Formula 1 Team machinery, but still managed to register the seventh fastest time, with Carlos Sainz Jr. languishing in twelfth, the lowest placed Renault Sport powered car. Red Bull Toro Rosso Honda continued their promising Friday on one side of the garage. Pierre Gasly was eighth, whilst Brendon Hartley propped up the timing screen, 1.7 seconds adrift of his French team-mate. McLaren F1 Team rounded out the top 10, with Fernando Alonso showing Stoffel Vandoorne the way in an otherwise quiet, but consistent session for the Woking team in what is ultimately their second ‘home’ race. Romain Grosjean couldn’t quite get Haas F1 Team into the top ten for the second time in the day, ending the day in eleventh – after some intense conversations with his engineer over the radio. Meanwhile, Kevin Magnussen couldn’t get enough chat out of his engineer, bemoaning the lack of information he was getting on his way to a disappointing fifteenth. The Sahara Force India F1 Team launched their new e-Sports team this week; they need something out of a computer game to get them out of the mire they find themselves in. Esteban Ocon and Sergio Pérez were thirteenth and fourteenth, but face an uphill battle to get their first points of the season at a track Pérez scored a podium at in 2014. Charles Leclerc did not repeat his morning spin as he set the sixteenth best time for the Alfa Romeo Sauber F1 Team, but Marcus Ericsson assumed pirouette duties, roughing up his car with some gravel early on in the session at the oil-laden Turn 3. The Swede ventured back out in plenty of time for a best of nineteenth. Sergey Sirotkin also spun as Williams Martini Racing had another trying session. He couldn’t get the better of seventeenth placed Lance Stroll, just under a tenth away.